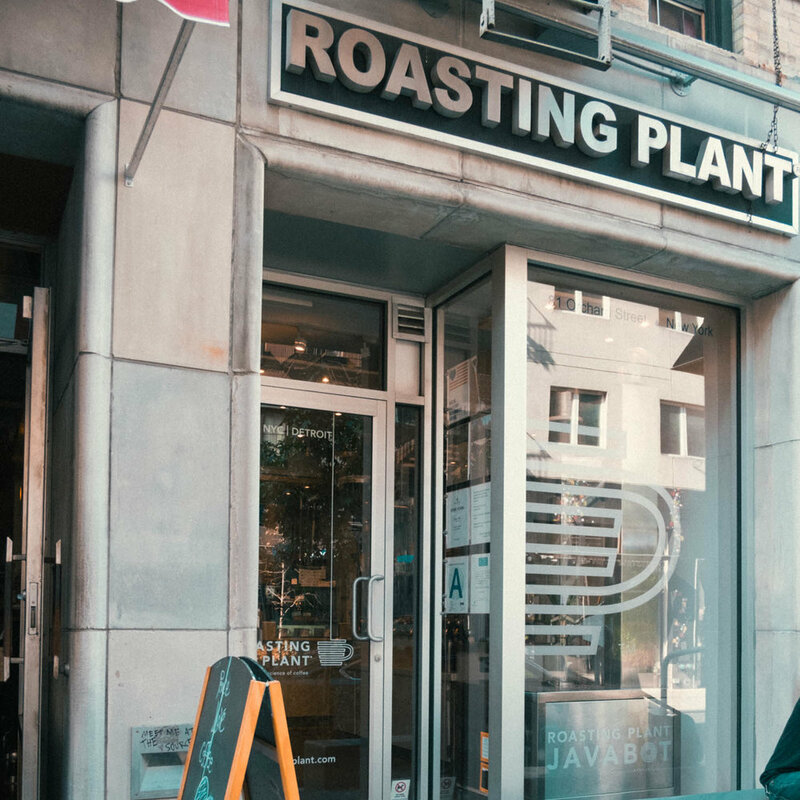 Roasting Plant is a café that roasts their coffee on location. It was a pretty decent latte and they're in the cool Lower East Side neighborhood. There's a larger chain café a few doors down the street which I don't recommend.